Texas Freckles: A good mail week! Here's what the mailman brought me this week. I think I finally have enough for a quilt! 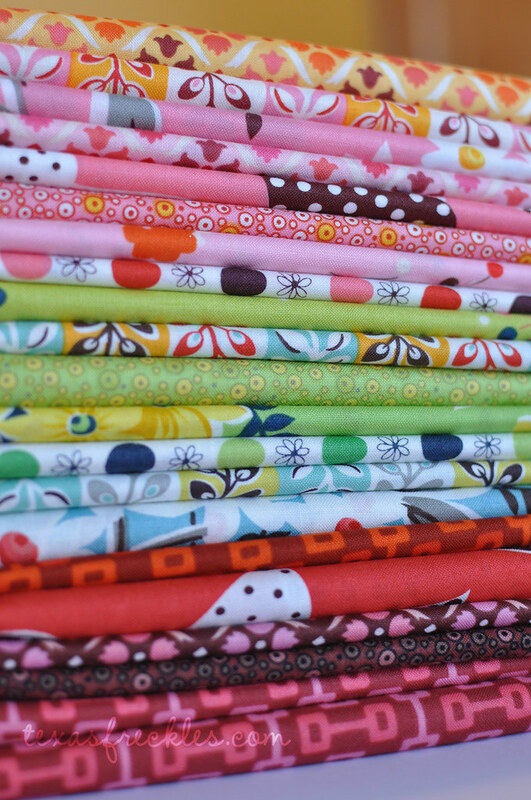 Sixteen fat quarters and five half-yards. I took this hexagon photo yesterday, and since then I've added more scrap squares and sewn a few more hexies together. I like where this is going! I love the bright, fun feel. 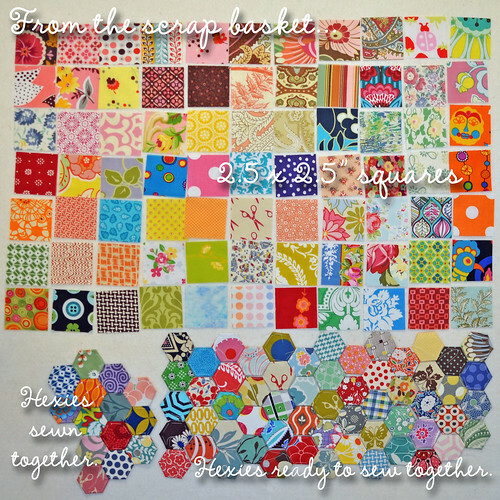 I cut all of the little squares above from fabric in my scrap basket. I can't wait to see who else catches the hex bug! where did you manage to find so much flea market fancy?! nice! 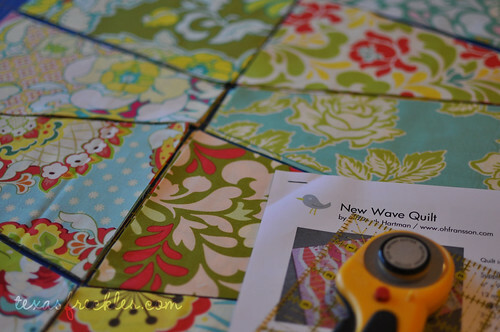 i'm hoping to start a new wave quilt in the next month or so too. it's such a fun pattern! 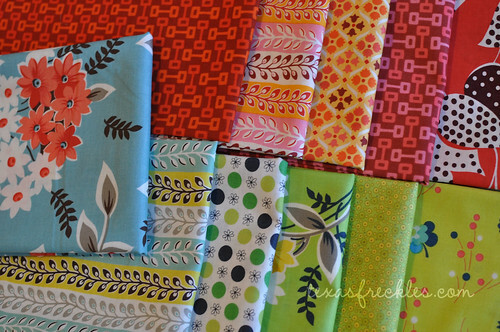 i love the fabrics you have picked. This post is just full of beauty! Great mail day and great projects too. Where in the world are you finding all that flea market fancy fabric? I wish I was in love with her new line, but I'm not. I missed out on Flea Market Fancy and almost missed out on Katie Jump Rope. I managed to get about half of the KJR fabric. I'm hoping she will come out with another new line soon. Eek, you've given me the hexagon bug! I'm sending the boyfriend into work tomorrow with instructions to print off about 3 million hexagons... Brilliant scrap buster! oh wow, where did you find these flea markets? super jealous of your growing FMF collection! !